Crushed minerals run through the heart of this pure and satisfying Riesling. The aromas of white peach, lime leaves, Linden tree, and crush stone echo in the palate with a long, fresh finish. Food Pairings: Delicious Thai or Chinese take out, five spice pork or duck, fresh seafood. 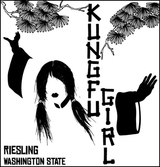 Always delicious, as well as an insane value, the 2014 Riesling Kung Fu Girl offers lots of exotic citrus, lychee and minty notes in a medium-bodied, delicious, vibrant profile on the palate. Downright gulpable, yet with plenty of classic Riesling flair, buy this beauty by the case and drink it over the coming year or so. As usual, this was a massive lineup by Washington's wild man, Charles Smith. Despite the larger-than-life persona, these wines are dead serious and are always some of the best I'm able to taste from the state. All of the Rhone varieties see 100% whole cluster, native fermentations and aging in mostly neutral French oak. At the top end, both the 2012 Royal City Syrah and 2012 Klein Syrah flirted with perfection, but the whole lineup is stacked with both quality and value. I think the 2012s are slightly superior to the '13s, but both of these vintages are strong here. Lime leaf, white peach and mineral aromas rise up from the glass, with botrytis adding a grace note. The spritzy stone fruit flavors are off dry and show spot on balance. 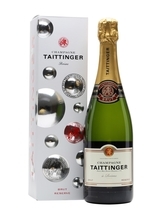 Light and refreshing, with pretty pear, apple and floral flavors on a sleek frame. Shows a hint of green tea on the off-dry finish. Drink now. 198,000 cases made.